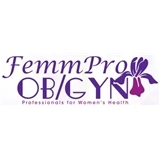 FemmPro OB/GYN (North Massapequa) - Book Appointment Online! We are committed to providing personalized, consistent, one-on-one obstetrical and gynecological women's health care services. With strong and solid ties to the community spanning 25 years, we have delivered over 8,000 babies. Pregnancy is a critical time in any woman's life, whether it's your first or fourth. A hallmark of our practice is listening to the unique needs of each patient and developing a highly customized treatment plan for prenatal care, hospital and delivery, and for all your gynecological surgery and care. We are knowledgeable and experienced, utilizing medically advanced, state-of-the-art surgical and medical technology and affiliated with top rated hospitals. He is a wonderful OBGYN and I would highly recommend him! My visits with Dr. Torre have always been pleasant. She always conducts herself in a professional manner. Furthermore, she takes the time to ask questions about family, different things going on in my life etc. Las year I recommended one of my co-workers and she's very pleased and happy with Dr. Torre. My visit was very informative and concise, I was in and out in an hour. Her assistants were nice and friendly too. Dr. Linder was great! He had a great sense of humor and tried to make me feel as comfortable as possible.